Parsnips - the underrated root veg. Have you had them before? They look like white carrots. They’re a little sweet. Creamy on the inside when roasted. I LOVE them! Parsnips have an impressively high vitamin C content, making them great for our immune system and eye health. They’re high in fiber, which keeps the good bacteria in your gut happy and also keeps everything moving so you avoid constipation. Folate - just 1/2 cup of parsnips contains 11% of your daily folate, which is pretty awesome! Folate is an essential nutrient that we need for gum health, brain health and to avoid birth defects. Parsnips also contain manganese, which supports bone health. If your experience with bay leaves is pretty much non-existent, join the club. It was something that was in my spice cabinet growing up, that my mom would use occasionally in soups and stews. As an adult, if a recipe called for a bay leaf, I usually skipped it thinking it wasn’t that important. Sure, it might impart some flavor but I wasn’t going to go out of my way to track one down. Recently, Rich nonchalantly mentioned that he had read about the health benefits of bay leaves and that they were impressive. I’m all about increasing my health benefits with minimal effort, so if throwing a few leaves in my soups is going to give me a boost, I’m all for it! People have been using bay leaves forever - the wreathes used to crown victorious athletes in ancient Greece were made of bay leaves. They’ve also been used as poultices and some tribes would place a single leaf in one nostril to cure headaches. Hunters would use it to attract deer. And of course, people have been using it for centuries to impart a savory flavor to soups, stews, and meats. It contains high antioxidant levels. Antioxidants fight damaged cells and keep us young and healthy. The essential oil from bay leaves has antimicrobial activity, which can boost immunity. Its antifungal properties make it a food that can be used to help treat candida, which is an overgrowth of yeast in the gut. One study demonstrated that the bay leaf disrupted adhesion of candida to cell walls. Several studies that have been done that suggest bay leaf fights cancer cells - especially breast and colon. 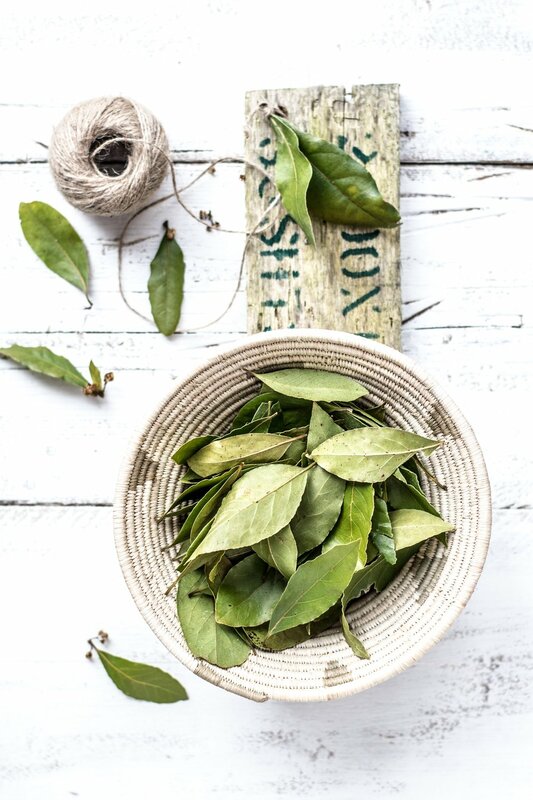 Regular consumption of bay leaves may help regulate blood sugar and support cardiovascular health. Bay leaves can enhance digestion and prevent bloating and gas. So if you can reap some of these help benefits simply by letting a couple leaves simmer in your next soup, wouldn’t you do it? That’s exactly what I’ve been doing. Bay leaves are inexpensive and extremely easy to find. Now that’s the kind of #goodmedicineeveryday I like.